Hello! Thank you for stopping by. I am so glad that you did. 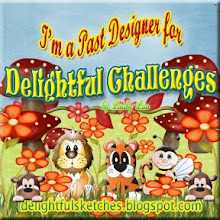 The re-visited sketch is up at Tuesday Morning Sketches and our challenge is sponsored by Bugaboo Digital Stamps. Remember about a month ago I mentioned making Christmas cards for the foster kids in my area? Well, normally the donation is birthday cards. They send about 150 birthday cards each month. I personally can't make a dent in that amount, but it's time to start creating birthday cards to contribute however many I can. So this is the first of many cards. I need come up with one or two designs to mass produce each month. 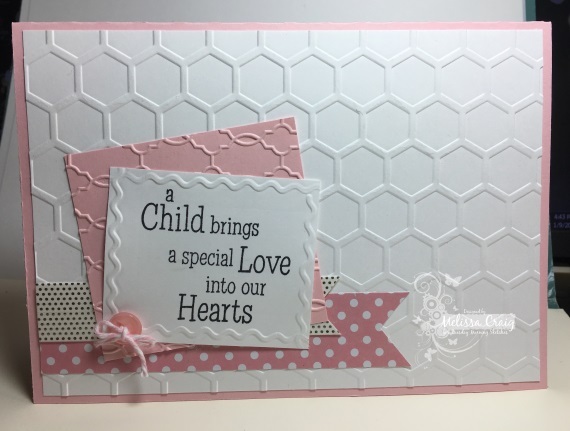 My card also features a new embossing folder that I picked up on sale. It's called Multi Sized Dots - that's creative, eh? I love it though, it's so whimsical! 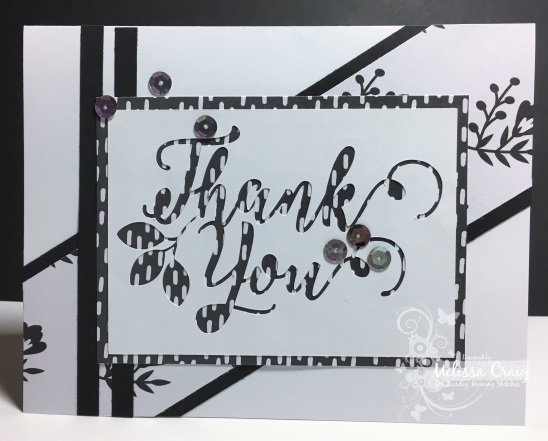 The sentiment is a sticker that I got in one of the blooper packages of embellishments from Freckled Fawn. I don't know why they call them bloopers - I never found anything wrong or off on anything I received. Please join us at TMS blog, we'd love to have you play along. 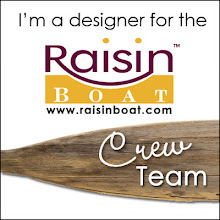 Don't forget to leave some love for my design team. They're the best and deserve a little recognition. Have a great day! Hi friends! 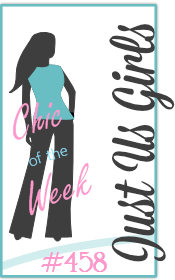 Thank you so much for stopping by my blog today. 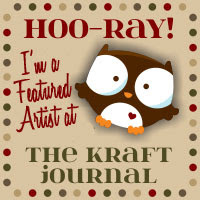 Our re-visit sketch is up at Tuesday Morning Sketches, this week's sketch was picked by Debbie. I like this one, too. 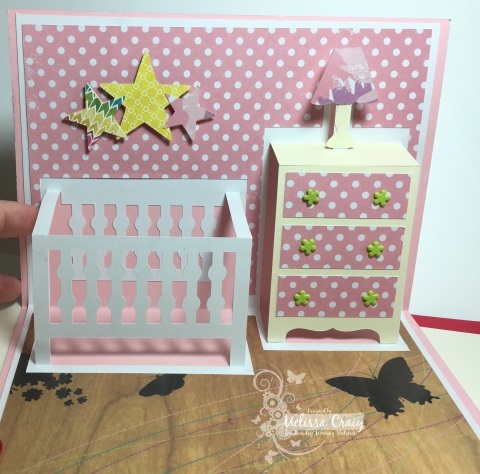 I used a pop up card kit by Lori Whitlock. Isn't this cute! Oh my goodness, I love how this turned out. It's a 5x7 card, which really made the card front challenging. But all in all, I think she'll love it. Please join us at the TMS blog to play along. See you there! Good Morning and Happy New Year! 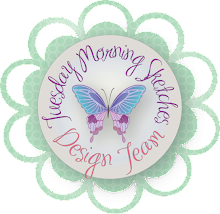 We're back to our weekly sketch challenges at Tuesday Morning Sketches and we're beginning our customary last year sketch revisits. Janice picked our sketch this week. Before I get to my card, I have to tell you.... I did not have the midas touch at all. Everything was just turning to sludge! I've been working on my 2017 planner that I guess I couldn't get into card mode. So I didn't fight with it anymore. 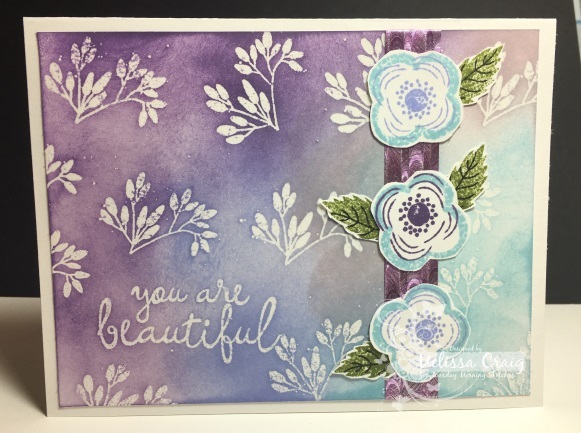 I decided create this card using some of the papers from this year's planner design. I'm not usually one for hot pink but this just made me so happy and at 70% off at Michaels - it made me ecstatic! I created this card using a die that is new. Actually I got this some time ago and finally opened it. It's a Spellbinders Die D-Lites die - Medallion One. I think when I got it my intention was Christmas cards, but I forgot all about it. 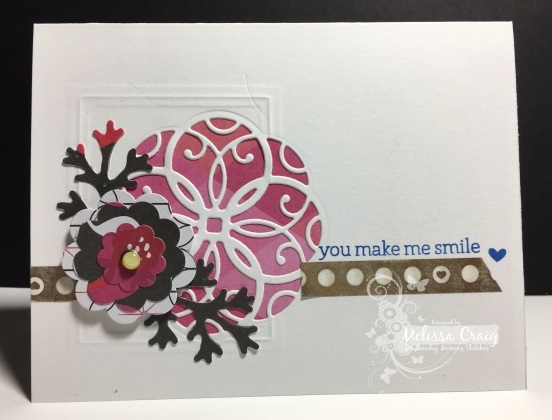 I did some embossing with rectangle die and then cut out the medallion. This is actually a two die set - there is a frame that will cut out to create a positive image. Then I pulled out the Spellbinder foliage dies and cut a couple of leaves. And then... talk about oooolllllddd. I pulled out some flower dies that I got when I got my Cuttlebug. My Cuttlebug and I have been roommates for over 10 years. I also used some gold washi tape that Michaels had on sale for half off. 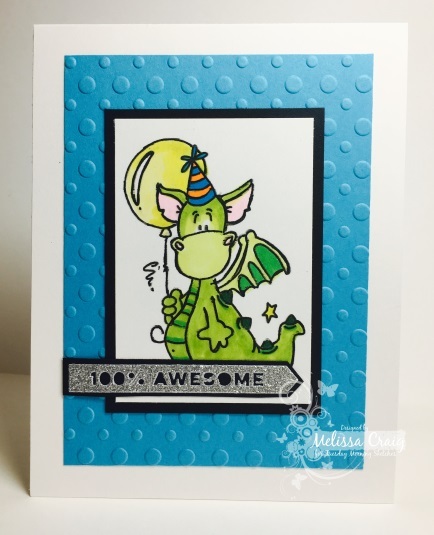 The sentiment is from a Hello stamp set by Hero Arts. This card took HOURS to get done - but when I finally got it figured out, I'm pretty happy with the results. It's just by the time I did get it done, dusk was upon me so the photography is horrible! Anyway, I hope to see you over at TMS blog to play along. My design team is refreshed and ready to go. Just wait til you see....your jaw is gonna drop when you see Debbie's card.